So don’t forget to check out our Various Paper Textures and Colored Crumpled Paper texture. On these textures you can paint amazing pictures with these brushes. We also have another tip for you, how to use these watercolor brushes, this is our new tutorial “How To Create Watercolor Typography Painting”, where these brushes are featured. 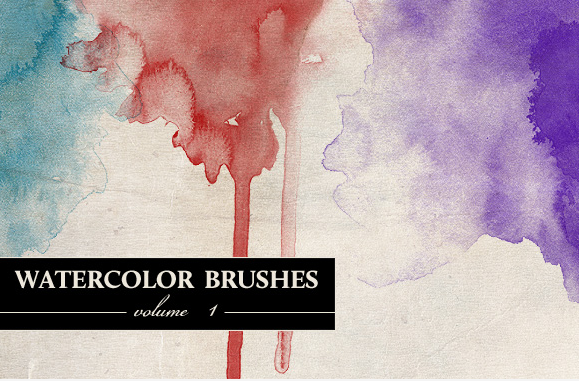 Download “Realistic Artistic Watercolor Brushes For Photoshop” here.